When we say editing photos, would you believe me if I say that there’s a little hidden gem in our computers that can do a few (surprising) features that Photoshop also does? Thanks to a recent session held by Microsoft experts at the Technology for Good 2016 (Philippines), I have learned that there is in fact a wide array of features hidden or unnoticed in PowerPoint that can give you basic image editing capabilities. From background removal, to color picking even up to creating composite images, let us go through some of these awesome features in PowerPoint! It is worth noting, that some of these features are only applicable for PowerPoint versions 2013 and above. Want to trick somebody that you’ve went to an awesome vacation? You can use the background removal tool to crop specific elements of pictures out, and have that pasted on another picture. You can use this to create amazing composite images and collages by combining two or more pictures together, without being hassled by the background of the images! Replicating colors can be a tricky thing, most especially if you’re only relying on your visual judgement. To accurately replicate colors from existing images, just select the shape or text you want to modify, and select the Eyedropper tool (found at the dropdown for color fill). Hover that over the color, and click. That should allow for a more accurate replication. Cropping an image to the shape of a heart, pentagon or other unusual shapes for that matter, can be a lot of work before. It takes a ton of steps that includes overlaying a shape to an image and using that as your reference for the shape. 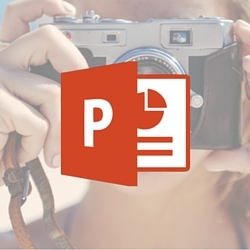 In PowerPoint, you can easily achieve this by selecting the dropdown section under crop. From there, you can choose any shape that you would like your image to follow. On the other hand, to save the elements in your slide as a single image, just select all of them (CTRL+A) and right click. From there, you’ll see the option of Save as Picture and then the option to choose which file format to use. Shadow, reflection bevel and even artistic overlays? These basic elements have actually been around in PowerPoint for so long. Now with the background remover though, you can easily mix and match these effects to create a more impressive design. You can easily find all of these tools in the comfort of your ribbon. Once you’ve selected an image, just head on to format and they can all be found there.